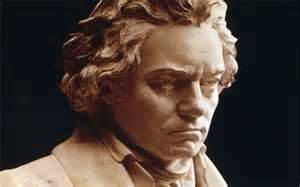 It’s possible to teach a complete course on Beethoven by himself; even to teach a course on his nine symphonies alone. Recently, music critic and fellow blogger Matthew Guerrieri wrote an excellent book on the influence of Beethoven’s 5th Symphony called The First Four Notes, 363 pages about what might have influenced him to write it in the first place and the impact it’s had on future imaginations. If his 5th Symphony weren’t enough, it was Beethoven’s 9th – like the composer himself, a megalith in the world of classical music – that placed him squarely in the pantheon with the likes of Shakespeare and (at least in Europe) the German poet Goethe. It regularly appears on lists of favorite works of classical music in those Top 40 lists beloved of a box-office-oriented pop culture – and usually as No. 1. Considering it’s over an hour long, this seems a bit odd, and though its great “Ode to Joy” theme in its last movement may be easily accessible to the average listener, one would hope there’s more to its popularity than just a hummable tune. Even though by now, it’s outdated technology, do you know why the CD holds around 70 minutes of music? The story goes that when Philips and SONY were developing this technology in the 1970s, they were looking for that could hold all of Beethoven’s 9th Symphony in a single-disc format. That may or may not be entirely true – even Snopes calls it “undetermined” – but it’s a story that, true or not, might be one more example of the importance of Beethoven’s art in the general world around us or another example of the mythology that’s grown up around him. So, what about this 9th Symphony? First of all, by any standard, it’s a huge piece and not just because of its 70-minute playing time. The last movement alone is unprecedented. In Mozart and Haydn’s day, only a generation earlier, the finale was a kind of “happy ending” afterthought to the importance of the first movement with its tonal drama told in Sonata Form (whether the music sounded “dramatic” in our sense of the word or not). But Beethoven had been changing that in the course of his career, not just in the symphonies. The last movement of the 3rd Symphony (the “Eroica”) is a large-scale set of variations and the weighty equal to its first movement. The finale of the 5th Symphony is the dramatic resolution of the tension of its opening movement with its famous “fate knocks at the door” motive: for the first time, there was unresolved tension at the end of the 1st movement that, eventually, needed to be resolved. This led to the standard “conflict-resolution” symphonies of the Romantic Era, later in the 19th Century, where the “conflict with fate” (just one such potential conflict) is triumphantly overcome in the finale – we hear this same “program” [*] in the 1st Symphony of Johannes Brahms, completed in 1876, as well as the 4th Symphony of Pyotr Ilich Tchaikovsky written a year later (and since it was such a success, he used it again in his 5th Symphony), plus Gustav Mahler’s 5th Symphony (completed in 1902) and Dmitri Shostakovich (inspired by his experience with Stalin’s disapproval and the possibility of being arrested for his bourgeois artistic attitudes which we might call “crimes against the proletariat”) written during the height of Stalin’s purges in 1937 (the question, depending on how you view the tempo of the last movement, is whether the finale is triumphant or numbly following orders – it’s a long story but… of course… more on that later). [*] “program” in this sense means an underlying story whether directly described in the music or implied in its emotional appeal. “Music that tells a story” is often called simply “program music.” In this case, it’s not an actual story but one that is inferred by critics and most listeners. The very opening of the symphony is almost “anti-classical.” If the whole purpose of classical logic was to allow the listener to place himself on the “you-are-here” map in the sense of the clarity of its form and the sense of its tonal scheme (which is, basically, an aspect of defining that form), the vague sonority and ambiguous harmonic motion of the opening is more like an invitation to enter a dream-like state with a treasure map to find out where you are. We know it is D Minor but beyond that, what might lie ahead? The closest thing in music before this (the symphony was written in the early-1820s) was the opening of Haydn’s oratorio, The Creation, which at the time was regarded as one of the greatest works ever written (Beethoven studied with Haydn in the early-1790s and had attended The Creation’s premiere in 1798). Its opening, called “The Representation of Chaos” might not be chaos as we imagine it today – helter-skelter energy without any purpose or direction (as in “chaotic”) – but more the vague ambiguity of obscuring mists that only later is resolved – ta-daaah! – to a brilliant C Major Chord as out of this void, God created Light (about 2:20 into this clip). Curiously, as harmonically ambiguous as Haydn’s chaos may sound, it is still in Sonata Form! That’s Classical Logic for you. Though Beethoven’s sense of “chaos” is less murky and not the lengthy harmonic labyrinth Haydn sets up, it is still a striking opening. It begins (at 0:06) with the interval of an open 5th – neither major nor minor – which expands into a rhythmic falling-motive (notice how it gets fuller in texture and how the statement of the motive begins to pick up speed and volume) that turns out to be a dominant chord leading up to the first appearance of the tonic at 0:32. This falling-motive now expands into the full range of the orchestra by itself (no harmony for five measures) which then continues to unfold in short fragments: a new idea at 0:48 which then leads directly to what sounds like a restatement of the opening vague hollow-sounding 5th but now on the tonic of D (minor) at 1:02. Are we still in the Introduction or is this really the first theme? Doesn’t sound very tuneful, does it? Then, this open 5th resolves again but not to tonic D Minor but to a new key – B-flat Major at 1:26. Unexpected – and it keeps on going, spinning along (notice the reminder of the first “theme” churning away at 1:43) until it seems to reach a kind of melodic resolution (if not harmonic) at 2:00 before we hear another “theme” (or thematic fragment that also continues to spin) until 4:25 when we suddenly (unexpectedly?) return to the opening empty interval, the same pitches we heard at the very beginning. This is what you could call an ”open-ended” theme – as opposed to a self-contained tune that ends with a clearly marked cadence. But it’s not so much a melody as a collection of fragments that can be taken apart and expanded. And harmonically, while it’s very active, we’ve spent most of our time in the unexpected key of B-flat Major (if you were listening to a symphony in 1790, you would say “it should be in F Major, that’s the rule” – or that was the standard operating procedure). Suddenly we’re back setting up D Minor all over again. And from there on, it’s definitely harmonically more active like you’d expect a Development section to be. Only… uhm, haven’t we been doing something like that already? As we continue through the on-going Development, the tension, after dropping back a bit, continues to mount around 8:00 till it sounds like it should reach a cadence at 8:08 – but, no, he keeps pulling you along with an unexpected chord – though it’s really a D Major Chord (going to G Minor?) which (after a dissonant chord at 8:27) finally resolves to the expected “main theme” (without the introductory open 5th) at 8:30 but it doesn’t sound like it did at the opening. In fact, it sounds like it’s still – despite all the expected pitch “D” you hear in it – developing! Then, at 9:09 there’s a sudden change of mood – “oh wait,” you think, “isn’t that one of the secondary theme fragments?” It is and it’s in D Major, like it’s supposed to be in a Recapitulation. But by 9:30 we’re on the move (harmonically) again – in fact, while all of this material sounds familiar, we’re never quite sure where we are harmonically. He brings in sudden – and brief – changes of mood and stretches out some of these chords (and vague tonal areas) and with it stretching the tension until we reach 11:33 where we hear the “main theme” in D Minor as it ought to be. But no sooner started than he’s off again – “where are we,” the listener used to nicely balanced, predictable classical form would be thinking. Well, at 12:41, that sounds like something from the Main Theme, in the horn? Right? And it does resolve to a D Minor chord at 12:55 but not for long – again, he’s off… and where to now? It takes us till 13:55 – another minute – to arrive at a D Minor cadence that feels like tonic. But wait… this isn’t the Recapitulation, is it? It sounds like it’s wrapping up – is this going to be the end? It’s not the “theme” but sounds like part of it. The tension continues to build (dynamics as much as the push-and-pull of the harmonic expectations) until – at 14:37 – there it is, the Main Theme. But wait… is that the end? At 14:50 – yes, that’s the end of the movement! So what happened to the Development and the Recapitulation? This is one of the Big Changes leading into the Romantic Period. Say good-bye to the nice “you-are-here” kind of logic from Haydn’s symphony. The Style Pendulum has swung (again) from Simplicity to Complexity – the components are all there but the boundaries are vague and in fact can be so “smeared” (a Haydn-loving listener would say “messy, indeed”) as to be unintelligible even to the astute listener. We are now all on an adventure – and the structural form has become a map we have to figure out in order to find our way. The principles still exist – statement / digression / restatement – but sometimes they may over-lap so that we’re not sure, even before we’ve figured out the “exposition” part of it, what’s exposition and what’s development. And later, what’s development and what’s recapitulation. There’s not much “contrast” between themes – if we can even think of them as the kind of melodies people were expecting just a couple decades ago – and part of what we might overlook is how all of this, some 15 minutes of music, grows out of that opening thirty seconds that just keeps spinning along almost as if it doesn’t really seem to know where it’s going. However, once you examine it, you would realize it knows exactly where it’s going but the form just isn’t the same as it used to be. Beethoven worked on this first movement for a long time. We’re not sure exactly how long, but at some point in 1817, he wrote down some ideas in a sketchbook that would later become these thematic molecules. What eventually became the longer “theme” at the opening was originally for a Symphony in B-flat Major though it later became a Symphony in D Minor – which, ironically, spends a lot of time in B-flat Major, not the old-fashioned expected key of F Major. So even before he technically began working on his 9th Symphony, he was jotting down ideas probably five years earlier. The S.O.P for the inner movements was a slow movement in second place and a fast movement in third (originally a minuet but later a lively dance-like, often rustic movement called a scherzo which in Italian means “joke”). Usually, people say Beethoven reversed the order for the 2nd and 3rd Movements because the finale was so grand, it needed the contrast of coming out of the slow movement, not the scherzo. But that’s not true. You see, Beethoven had already planned on a 2nd Movement scherzo and a 3rd Movement Adagio before he’d even figured out what he would do for his finale! The reason, then, was because the 1st movement was so weighty and not that fast, that a contrast with a long slow movement which might also be very intense (as it turned out to be) was not that much contrast. So to give his audience a break, he planned on going right from this first movement to the scherzo. Even so, it’s not much of a joke: it’s actually very dramatic. Does the opening motive remind you of something? 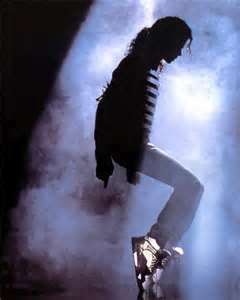 The opening theme of the 1st Movement, once it got started, was based on falling 5th. This time, it’s falling octaves. But on only two notes: the same pitches we hear in that open intervals that sounds so unstable and vague at the very beginning of the symphony. And those first seven seconds generate the scherzo’s main theme – which, far from being a joke, is actually a fugue! Usually, fugues in the Age of Mozart and Haydn were very academic sounding and associated with showing off the composer’s intelligence, being able to handle this old-fashioned skill from the Baroque Era of 50 to 100 years before. But maybe that’s the joke, here: Beethoven shows he can write a fugue – kind of – but it’s kind of a hurly-burly scurrying fugue and ready to take off in any direction it pleases with sudden changes of mood and sudden interruptions, especially from the timpani (or kettledrums) around 5:03. There’s also a very contrasting section that begins at 6:56 – the energy-level changes, the lines are more step-wise and, well, more linear. Then it’s back to the opening again at 9:40. This contrasting or “B section,” as we’d call it, is – especially after that puzzling first movement – almost mind-numbingly simple: lots of repetition, almost obsessively repetitive (but so is the fugue) and by comparison almost static with its long sustained tones behind the bubbling foreground. Then we repeat the “A Section” at 9:40 and continue (leaving out the ordinarily repeated segments) until 13:14 when it sounds like we’re going to repeat the “B Section” also but it’s only a brief reminiscence until the octaves pound us to that final D.
I’m not going to spend much time with the slow movement which is unfortunate, because it’s an incredibly beautiful Adagio and despite the greatness of the other three, always one of my favorites in all of Beethoven’s output. In this case, where the themes before were “modular” – based on thematic molecules or cells – the themes in this movement are long, linear, song-like and constantly varied. The opening theme (starting at 0:24) is almost prayer-like with its dialogue between strings and winds, and its contrasting theme (starting at 2:19) is built with a constant rising then falling of its components. He then builds on these two ideas, alternating and varying them, to create a long, almost seamless respite from all the ambiguity of the first movement and the dynamic rhythmic drive of the second movement. But then Beethoven hit a brick wall: what to do after all this? He’s now got three movements, each about 15 minutes long which would still make this longer than a typical Haydn Symphony and about as long as his entire 3rd Symphony written twenty years earlier. Did he need another movement at all? Wasn’t that long enough? One of the things we know from the sketchbooks was that Beethoven had tried several ideas for an orchestral finale and none of them seemed to please him. Now, he had always wanted to set Friedrich Schiller’s “Ode to Joy” ever since he was a young man. The poem had been written in 1785 (when Beethoven was 14) and became the equivalent of a popular hit in the world of German poetry. While it’s essentially a Classical Era poem, the inspiration was initially that sense of excitement generated by what led to the French Revolution a few years later, that fermenting agitation for more freedom. In fact, the initial sketches, so the story goes, indicate the idea of “Joy” was more “Freedom” but Schiller knew that would get him into trouble with the secret police, so he changed it. So, going against all expectations, Beethoven decided to take Schiller’s poem and set it to music with chorus and four vocal soloists in addition to what was then already a large orchestra. And, considering the length of the poem, eventually adding an additional 20 minutes or so to the symphony’s full length – unheard of, at the time, and still uncommon for another sixty years (with a few exceptions). You can read Schiller’s poem here. Whatever it may sound like to a German in the early-1800s, it sounds quite often silly in English to modern listeners today. I know of no performance that ever tried to sing Beethoven’s 9th in English. So, after these first three movements and especially the long calm slow movement, Beethoven wakes everybody up with a most surprising chord that’s almost like a thunderbolt to get his listener’s attention. This is a true “dissonance” – both something needs to be resolved and an “ugly sound.” It clatters through what could be a frenzied and chaotic counterpart to the first movement’s opening (the very opposite of its ambiguity) before breaking out in something else unexpected: the cellos and basses play this long declamatory passage beginning at 0:13. Now, this is technically an operatic convention – it’s called a “recitative,” something non-melodic in which a singer would declaim a text in a passage that would resemble the speech-pattern, accompanied by occasional punctuation-like chords. But we have no idea what the implied text might be – yet. At 0:24, the opening blast returns until it’s interrupted and pushed aside by the bass “recitative” at 0:33. Then, at 0:42 we hear something familiar – wait, that’s the opening of the First Movement! But at 0:55, it’s also pushed aside by the basses. After this seems to shrug itself off, at 1:13 we hear the opening of the Second Movement which then is also set aside by the “recitative” before, at 1:33, it’s the Third Movement’s turn. Ah, this time, it’s a gentler reaction from the “recitative” before it becomes more aggressive as it had been earlier (1:55). Now, at 2:04, we have a new idea hinted at which, if you’ve never heard it before, might sound like a ray of hope. In fact, the “recitative” seems to think very highly of this new idea and cadences authoritatively in the key of D Major at 2:26. Whew! Now we know where we’re supposed to be. Then he starts what will become the Main Theme of this last movement. It sounds like a hymn and in fact it is so simple and direct it could easily be sung by a congregation with little musical background. After the complexities of the earlier movements, this is beginning to sound very simple – and so therefore, reassuring. This is, by the way, an example of a "self-contained" or "closed" theme, complete it itself and one that is less easy to spin off into ever-evolving continuity. Instead, he accomplishes length by repeating and varying it. At 7:48, he begins another series of variations on the theme, bringing in the other solo voices. Around 8:30, another variation but now that we’re familiar with the tune, he can be a little less literal in repeating it: we hear more it’s shape and essence rather than a literal restatement of the theme itself. By 9:33, we’ve now moved away from all this D Major tonality and something new starts: by 9:47, we’ve now started a march-like treatment of the theme complete with bass drum and cymbals (a cliché that would’ve been called “Turkish Music” in a city that only about 140 years earlier when the Turkish Empire (the Moslem’s Ottoman Empire) brought its border within view of Vienna’s walls). It then continues with the solo tenor and the men’s voices of the choir. The very sound of this would’ve had Viennese listeners tapping their toes and nodding their heads in rhythm. Considering the drama of the 1st Movement, we are now in a “populist” vein – something that today would seem to be contradictory. But in Beethoven’s day, “High Art” and “Popular Art” could exist side by side. At 11:10, we’re off, developing ideas from the theme by way of the march and the tonal scheme gets very active. It’s almost as if, the way things are tossed back and forth between the winds and the strings that we’re fighting the battle after we’ve already celebrated the victory! Then at 12:30, we hear all this octave intervals sweeping back and forth like the theme from the First Movement or the opening of the Scherzo but in a very remote key from the one we’d normally expect for a symphony in D.
With a great rush, then, after two suggestions of starting the Ode to Joy Theme almost, at 12:56 Beethoven sweeps us solidly back into D Major with the return of the Main Theme, now, almost shouted by the full chorus: a Triumphal March! After all this, we’ve gone about 14 minutes basically on one theme. But at 13:47 it abruptly stops. What next, you ask? Sung to the words “Be embraced, oh ye millions,” again a melodic idea (not much of a tune, by comparison to the Ode to Joy Theme) by itself as if proclaimed by angels accompanied by – ta da! – trombones! Notice how the statements alternate between the stentorian declamation and the gentler full choir, harmonized continuation. Now, if this is going to be our “second theme,” how hellaciously long do you think this “sonata form” movement is going to be if we’re only at the 2nd Theme after 15 minutes??? Then, after some spiritual questing – “look for God beyond the stars!” – at 17:19, something unexpected happens, resolving this quest for God. Beethoven combines the Ode to Joy Theme with an almost joyful skipping rhythm against this new “B Theme,” the song of Universal Brotherhood. And then turns it into – a fugue! Though not a technically strict one, but definitely fugal! And despite the academic, intellectual reactions to the very idea of a fugue, this is the most joyful moment in a whole movement all about joy. In fact, it’s so joyful, at 18:37 begins a passage where the sopranos hang on to a high A – and that’s pretty high for a choir-ful of sopranos – for the next thirteen measures (try holding your breath that long, much less singing a high note that’s hard to control!). But this suddenly breaks off in a contrasting section at 18:54 – “do you bow down, ye millions?” Then at 19:40, back in D Major after a brief digression, we resume variations on the Main “Ode to Joy” Theme – but less strictly, only suggesting the theme and its text. To a well-experienced listener of Classical Symphonies, this would sound like the start of the “wrapping up,” the beginning of the “Coda” and the final reinforcement of the key and its themes. However, there are stops and starts along the way. The tension isn’t quite ready to be completely resolved, yet. At 21:04, yet one more digression. We swing off suddenly to another key (ordinarily it wouldn’t be expected but several times he’s already landed in B Major so by now, maybe it’s not so unexpected) where the four soloists have what is called a “cadenza.” Like the “recitative” was an operatic convention, this is a convention from the concerto – a work for solo instrument and orchestra – where the orchestra would stop playing and the soloist has a long extended solo passage usually of a virtuosic (“technically showy”) nature that might sound like it’s being improvised (“made up on the spot”) – which actually is what soloists were expected to do in Mozart and Beethoven’s day. So, this time, Beethoven gives his solo quartet of singers a chance to show off before it ends, leading us back to D Major by 21:54 and from there, it’s a joyous celebration all the way to the end, complete with bass drum and cymbal again. But just when you think it’s over, a sudden “mis-resolution,” a change at 22:54 – nooooo! Not another prolonging passage – which slows down, but never loses its sense of majesty (perhaps that sense of slow-motion just before you break through the finish line) until, having done so at 23:09, it’s now a final jubilant shout, perhaps a victory lap! And those are, very definitely, final chords!! People often say that Mozart may write music that is sublime or divine, but by comparison Beethoven is more human and, often, more universal as he certainly is in his setting of texts about the Universal Brotherhood of Man. Small wonder that the “Ode to Joy” theme itself has gone on to become a popular hymn tune and eventually the (Inter)National Anthem of the European Union. Beethoven’s 9th has become a universal favorite – it’s a New Year’s Tradition in Japan, surprisingly enough, where community orchestras and choruses will perform it every year. It’s a major undertaking and always an event when it appears on an orchestra’s concert program. In many radio polls, whether in this country or Europe, Beethoven’s 9th (even if it’s only because of this last movement’s theme) is usually No. 1 on the list of favorite works. How was it received at its premiere in 1825? Beethoven was by now stone deaf but he wanted to conduct it. The official conductor allowed him to stand on stage and conduct while telling the orchestra not to watch him. He sat to the side of the stage, beating time for the orchestra he could not hear. This was the first time Beethoven had appeared in public as a “performer” in some 12 years and the hall was packed – word had gotten out that this was going to be an amazing work. Two of the singers were among the best known in Vienna. When it was over, Beethoven was still conducting. The alto singer came forward, took him by the arm and turned him around to see the audience. They had erupted in applause between movements and sometimes after certain sections of the piece (it was considered okay, then) but Beethoven only saw this at the end. He received five standing ovations and even if he couldn’t hear the applause, he could see the audiences jubilant response. He was given a hero’s welcome. His one opera, Fidelio, had been a disaster – not once, but twice. His great Violin Concerto, today regarded as perhaps the greatest violin concerto ever written, was so dismally received, it was never performed in his lifetime and in fact never entered the repertoire until 1844, 17 years after Beethoven’s death, when it was played by a brilliant young violinist named Joseph Joachim who was 12 at the time. But this time everyone seemed to be in universal agreement: this was Beethoven’s greatest work. The dissenting voices – and some of them are significant – aren’t about the musical values, but the technical ones. True, it’s not a great symphony because it’s hardly typical. And, also true, sometimes it’s quite badly written for some of the instruments: I know several bass players who hate playing this piece because it’s so difficult for them to play, making unrealistic demands on what the instrument can do; several players on the contrabassoon say Beethoven had no idea what the instrument could or could not do – he just doubled the string basses which are already having trouble! The choral writing is also not very good at times – and as exciting as it might sound, that 13-bar High A in the sopranos is most unkind, especially so far into the piece when they’re already going to be tired. When the solo soprano has to sing a note one step higher than that, she’s singing it on a weird vowel that is almost impossible to control on that pitch – even if she does it well, it still sounds uncomfortable. Beethoven was Beethoven – even as a young man, he was always who he was and never what other people wanted him or wished him to be. Perhaps that has something to do with why his music still, 186 years after his death, continues to inspire us today, just as it has every generation since then. Before, society didn’t pay much attention to composers: they were craftsmen, employed by the church or by an aristocrat and they did their job, turning out music as expected or required. Beethoven presents us with the first time a composer became a hero – and with it, an almost mythological reverence that has been difficult to ignore. For a man who had to deal with deafness at the height of his career, who complained about constant stomach trouble, who had a miserably unhappy personal life with his friends and family, with all the difficulties reality kept pushing in his way, it is amazing to compare the music we know with the man we sometimes overlook. Sometimes, his music is what it is despite his reality – especially his deafness – but it’s quite possible his music and the interior world he created for it was also because of it. Coming face to face with Beethoven can be a daunting experience. First of all, since he seems to be regarded as the Greatest of the Great Composers by so many lovers of classical music, you may find him either so thoroughly intimidating or you might think he must be over-rated. Again, different people will always react differently – and how we feel about him today doesn’t mean he was always regarded this way, or that he won’t be regarded differently in the future. Many people might consider the greatest composers in the classical music world to include Bach and Mozart, though there was a time when Bach was almost completely forgotten and largely unknown to a wider audience until some seventy years after his death. And don’t forget Mozart couldn’t find a decent job during his lifetime and also wasn’t that well known not long after his death except for a few pieces and even that to a relatively small group of enthusiasts. It was in 1877, not long after conducting the first performance of Johannes Brahms’ Symphony No. 1 (which he called “Beethoven’s 10th), the conductor Hans von Bülow came up with “The Three Bs – Bach, Beethoven and Brahms!” which was essentially a marketing phrase rather than an honest historical assessment. However, somebody else had already come up with a 3-B tribute for Beethoven’s “logical successor,” the French composer, Hector Berlioz – and that was back in 1854. But by 1877, most people (especially Germans) would no longer consider Berlioz the equal of Beethoven. But Beethoven’s star, once ascended, never really faltered though he became more god-like and titanic and less of a mere mortal. In fact, one of the problems with classical music is that we forget these composers ever were human: they’ve become marble busts and their lives either bearing little impact on how we consider their music or becoming so mythologized, it’s hard to tell fact from fiction (or at least glorification). We tend to overlook that Beethoven had a rough childhood, hated his father, his mother dying when he was not yet 20, and spending more time quarreling with his brothers throughout his life than having any kind of familial relationships with them; that he never had any kind of loving relationship with a woman throughout his life, as well – at least a fulfilling, two-sided relationship (he was often in love but often with women who, whether married or part of the wealthy society who looked down on Beethoven’s kind as mere tradesmen, unattainable); he was frequently ill – and not just his deafness – which would have stifled any man’s creativity; and had a personality that often alienated him from the society of the people he needed for his artistic support. There was another major distinction between Beethoven as a composer and composers of previous generations: Mozart and Haydn, for all their brilliance and originality, were still basically servants employed by the upper class aristocracy. Beethoven was the first great composer who didn’t have what we might call a “steady gig.” He was never an aristocrat’s court composer or resident pianist, nor did he ever hold a job as a music director for a church or the equivalent of a “university professor” (which in itself was something new). He made his living primarily as a teacher of piano lessons to private students – mostly the young ladies of middle-class families who were expected to play the piano and sing as the family’s entertainment center in the days before television and sound systems (later, they would be expected to be good cooks but in those days, you hired people to do your cooking; you made your own music unless you were rich enough to hire some musicians, too). 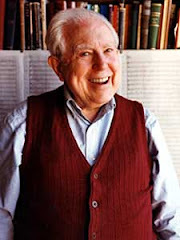 For a while, he was also a concert pianist, playing primarily what we would call “solo recitals” but also appearing occasionally with orchestras and chamber ensembles (unlike other concert artists of the next generation, he never toured all over Europe). In fact, the whole idea of the “public concert” was something that was fairly new. 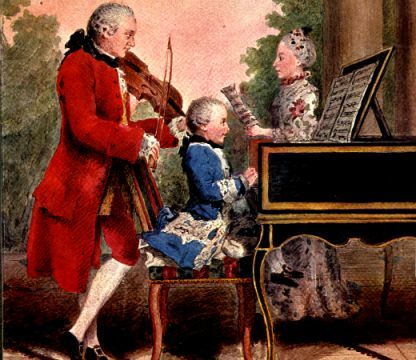 It had only been during the days of Mozart’s childhood that such a thing started happening in London – originated by one of Johann Sebastian Bach’s sons who settled there – so that musicians (both performers and composers) could make a living by performing for ordinary people who would actually pay money to hear their music. Before, the general public never got a chance to hear the performances that were held in aristocratic homes or the castles of the crowned heads of Europe (including all those little German city-states). J. S. Bach had given some public concerts as the director of Leipzig’s “Collegium Musicum” where, without a public concert hall to hold them in, people went to Zimmerman’s Coffee House to listen to programs featuring concertos and sonatas and suites of dances. 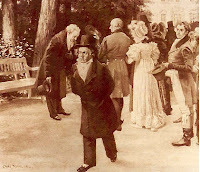 In Beethoven’s time, then, while he also played in the homes of the wealthy, he also gave public concerts. In addition to playing specific pieces – which could involve a number of performers playing in a variety of combinations – pianists often would improvise. This was something Beethoven, as a composer as well as a performer, excelled at and often there were competitions at some of these programs – imagine a kind of reality-TV approach to dueling pianists – and of course rivalries within the musical community. It was one way that Beethoven began to become well known in the late-1790s after he’d arrived in Vienna to study with Franz Josef Haydn. Beethoven, unlike Mozart, was not a “fast” composer, capable of writing a symphony in a few days, if need be. Nor was he the craftsman like Haydn who needed to turn out a certain amount of music in a short amount of time. He was often pains-taking, spending months working out his themes and then figuring out some of the possibilities of what he could do with them. This makes sense when you figure Mozart, during his 35-year life-span, wrote more than the 41 published symphonies we know (several of the early ones are quite short and rather meager in comparison to the later ones), or that Haydn, over a period of 36 years, composed at least 104 symphonies – but during Beethoven’s symphony-writing career, between 1800 and 1825, he completed only 9. Well, “only”… Granted, those nine symphonies are all considered masterpieces where Mozart or Haydn would likely be remembered for maybe a dozen or so symphonies - actually, for Mozart, perhaps a half-dozen - in the standard repertoire today, but their idea of what a symphony is changed over the course of their own lifetimes: it began as a functional, orchestral multi-movement piece for an evening's entertainment that was more craft than potential masterpiece, possibly written for an occasion and, quite likely, not intended for future performances. Later, the symphony became more of a “significant effort” and even if they weren’t intended to be future masterpieces, they had more of a sense of posterity about them. We don’t know why Mozart wrote his last three symphonies – he had no performance lined up for them and there seemed to be no commission to bring them about and this was a time when few artists set about writing something that didn't have a reason to be written (unlike later when a composer might think "hmm, perhaps I'll write a symphony") – but they are each a masterpiece and, considering they were all three written between June and August of 1788 (along with several other works), each different from the other. Haydn wrote his last twelve symphonies for concert series in London, primarily to sell tickets, so there was a sense of writing for “popular” appeal, here, that the others may have lacked, another problem to consider when trying to figure out how to write a symphony. Beethoven wrote his symphonies all for public consumption – not for aristocratic music-lovers though some of them were first heard in private concerts in aristocratic homes – and while there was an eye toward popular appeal, there was also a sense of universality about them that Haydn or Mozart would probably have never considered at the time they were writing symphonies. Would Beethoven’s symphonies have been different if he had lived 10-20 years earlier? Most likely. Would Haydn have written symphonies differently if he had continued writing symphonies had he lived longer? One of the favorite “what-if” games for classical music lovers is what Mozart would have sounded like if he had lived as long as Beethoven – that means, he would’ve died in 1813, around the time Beethoven was finishing his 7th and 8th Symphonies. Or as long as Haydn: then, Mozart would’ve died in 1833, outliving Beethoven by 6 years… Well, that’s all conjecture of course, but musicians are always developing: since they didn’t live in a vacuum, it’s quite likely they would have been greatly influenced by events of their time as well as artistic trends and attitudes in the musical world around them, adapting and “perfecting” their own creative styles in response to some new stimulus. It’s not always wise to put too much stock in what a composer was doing at the time he was composing something, because art exists independently of the artist. Still, it’s interesting to realize what was going on in a composer’s life when he was working on a particular piece. For instance, I recently heard a string quartet by Franz Schubert. If nobody told me anything about it and I had no idea when it was written, it would have been a very enjoyable piece of music just as it was. But knowing he was 16 when he wrote (and wondering what I was doing when I was 16…) and also that he’d recently decided to quit school because he’d gotten less than acceptable grades in Latin and had failed Math – his scholarship, which he thought he might lose, was reduced with the admonition to do better in his class work, that “singing and music are but a subsidiary matter… good morals and diligence in study are of prime importance and an indispensable duty for all those who wish to enjoy the advantages” of this scholarship. So clearly this delightful piece came at a time when he felt strongly enough about becoming a composer that he probably put a little more thought and effort into it, perhaps, consciously or not. Incidentally, it was not written for “public consumption.” Like much chamber music of the time, it was intended to be performed and listened to “at home.” Schubert’s father, a school-teacher, was the cellist and his two older brothers played the violin; Schubert himself played the viola. 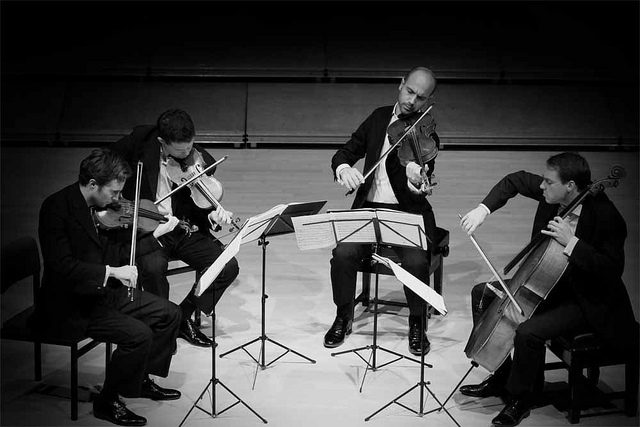 There’s a big difference in the scope of this string quartet and those he would write at the end of his short life. So, let’s think about Beethoven having just had considerable success in Vienna as a pianist and as a composer with his first set of string quartets, his first symphony, a ballet that was at the moment quite popular, and some piano sonatas he had been performing around town. Then, on the verge of his mature career – he is now 32 – he is aware the problems he’d been having off and on with his hearing were becoming more serious, in fact could even mean he was going deaf. It’s one thing to go deaf in your old age or to contend with life having been deaf from an early age, but the sudden possibility that, so close to professional success as he was, he had to face it now must have been devastating – certainly as a performer but also as a composer. While he did not go “totally deaf” until the mid-1810s, in 1802 it was serious enough the letter he wrote to tell his brothers about it – known as the Heiligenstadt Testament – reads as much like a last will and testament as it might indicate thoughts of suicide. At the same time, he was working on the last movement of his 2nd Symphony. How would you expect it to sound, given the circumstances going on in his life at the time? Not exactly what you’d expect, is it? No gnashing of high drama, no sense of tragedy or loss – certainly nothing suicidal. If anything, the opening theme sounds a bit like a yelp – one critic described as a hiccup followed by a growling stomach – and it’s fairly high-powered and lively all the way to the end. Now, Beethoven felt his symphony didn’t need a big tragic ending – downer or not. There was nothing in what he had planned previously to indicate that turn of emotional events. Even though he swore he would overcome this handicap – and seize Fate by the throat – he knew this symphony did not need a fist-shaking “curse-you,-Fate” ending, either. The fact that it’s as boisterous as it is might lead modern listeners (perhaps over-analyzing it) to think it “over-compensating.” Regardless, Beethoven was able to compartmentalize reality and art and deal with such striking and presumably life-changing contrasts. While the 3rd Symphony, the famous “Eroica,” which was presumably inspired by Napoleon directly or by the image of a “great man,” a world hero, marks a decided change in the course of the symphony – it’s usually credited with being the first great masterpiece of the Romantic Era when it was completed in 1804 – it does include “a grand funeral march for a hero” in the slow movement even though there was no indication Napoleon was going to die anytime soon. Perhaps this idea of “seizing Fate by the throat” was behind the 5th Symphony (which he actually began after the 3rd, but ending up completing what became his 4th Symphony beforehand) with its famous “Fate Knocks at the Door” motive, the intense drama of the opening movement, the disturbing nature of the interruption in the third movement (based on the rhythms of that opening “Fate” motive) that leads directly into a dance of triumph in the finale. Though he never gave it a title or mentioned there was a story behind the music, it is too easy for us to think that here, Beethoven is grappling with the whole idea of his deafness, determined to overcome it. However, since he never mentioned anything about that, rather than making it a personal story, it becomes a universal one. It can now become – by inference – anybody’s story, anybody’s ordeal with a catastrophe that must be overcome and, in the end, is successfully overcome. That may explain why, aside from some initial reactions about its new-fangled drama being a little over the top, this symphony – or at least its first movement – has gone on to become one of the most popular works in the classical musical repertoire, familiar to people who’ve never even set foot in a concert hall before. Here’s the complete symphony in one of those “color-coded” analyses that will help you follow the formal design of each movement. Well, actually, it became a post of its own: you can read it here and listen to clips of each movement of the symphony. This is one of those graphic representations that simplifies the score for those who can’t read musical notation but might be allow you to follow the textures and sonorities of the score. But yes, basically it says that the human ear (or that part of the brain that processes musical sounds) does not always process sounds the same way for everybody and that, for someone who hears something and doesn’t like it at first, it’s probably because they lack some intuitive understanding. Western music – as we know it – began as a series of mathematical ratios from the days of Pythagoras which would mean his ideas about how music – individual tones, their overtones and what leads to the organization of scales and chords (which eventually led to the concept of “tonality”) – goes back to about 500 BC. In other words, we’ve had some 2500 years of conditioning to these sounds. When something doesn’t “jibe” with that conditioned response, it sounds like so much “jive” – which may explain why an intelligent young woman from Nepal (the daughter of this Himalayan country’s prime minister) sat in a Harrisburg concert hall listening to the orchestra play Rachmaninoff’s 2nd Symphony (a long, luxurious, highly romantic-sounding war-horse of the Western concert repertoire) and couldn’t figure out why we would all sit there silently in the dark, listening to such noise (she quickly got out her knitting and started click-clacking away because, essentially, this is what women did when they had nothing to do but listen to Nepalese musicians perform). Of course, if I transported that Harrisburg audience to Katmandu to listen to some popular Nepali music – like this classic old Nepali love-song which still sounds like it’s based on something similar to a Western scale though it lacks what we call “harmony” – they would probably all cover their ears and run for the nearest radio to listen to their favorite pop singers or some Beethoven and Mozart for relief. When I talk to students about the different aspects of music, I often use the analogy of the human body. Like other people, usually the first thing we react to is what we see – the surface of the visible person: depending on the order you might see them in, a person’s skin or hair or eye color, what a person’s wearing – and how many times do “first impressions” lead to judging a book by its cover? So, since the first thing most people respond to in a piece of music is probably the melody, this could be the equivalent of a person’s outward physical appearance: the skin, the hair and eye-color, different aspects of the face that we might respond to, what (essentially) makes one person look different from someone else. But underneath this surface, there is more to that body or that person: and this is where some other aspects of music come into play: after talking about harmony, rhythm and form, it’s not difficult to realize that rhythm is like the blood flowing through a person’s body; or that harmony – which moves the music forward by creating elements of tension and release, by creating variety, by the way chords work together to support the melody – is like the muscles in the body; or that form – the general organization of short phrases into longer and longer units – becomes the framework over which a composer stretches the melody and helps define by its harmonies (or their tonality) and is therefore like the skeleton that supports the muscles and the skin. The way painters in the late-Renaissance learned about human anatomy and the sense of perspective, composers in the baroque, essentially, began learning how harmony and form created similar kinds of artistic details in their art, bringing new or at least a different sense of life and awareness to what music can be. Looking beneath the skin – the surface sound of the music – we might discover, listening to any kind of Western music since 1600, roughly, that what lies beneath the surface is not very different from one generation to the next: though a composer from 1720 will sound very different from a composer in 1876 or one in 1924, but underneath these same principles somehow are (probably) still operating: it’s the “surface language” that’s different. Talking about “form” usually implies the way a piece of music is organized over a longer span. Going back to our ‘note - melody’ or ‘note - chord’ analogy (like letters, words and sentences in language) we might group these phrases, these cadences and their melodies and come up with a bit of added contrast. “A” reaches a cadence, then there’s some contrast which we’ll label “B.” This is usually called “binary form,” the prefix bi- referring to two. The eventual idea was that that “A” section would move from the initial tonic key area to a different key area (C Major could go to G Major; A Minor could go to C Major). The “B” section – which is not necessarily a contrasting melody, now – would usually start in this “new” key but almost immediately start moving around uncertainly from one key to another, creating a kind of “tonal tension.” It also might sound like fragments of the opening theme and maybe the secondary theme rather than a whole new theme. We’ve moved away from our Home Key and the goal is now to get back to that Home Key by the time it’s over – to resolve that tension, to fulfill our expectations. The opening of the second section would now be harmonically “active” to continue the digression from this new key to – eventually – get back to our original key. This could be a simple process or a more complicated one. The contrast is now in the harmonic activity of moving from one tonal area to another, usually in quick succession. This creates a sense of uncertainty – “where are we,” a listener might feel: “it doesn’t feel settled,” and they would expect eventually to make it back to the initial key. And that is more importantly reinforced with the re-appearance of the opening melody or theme. Then, we feel the tension is released and expectations have been met. Now, we still have to get in both themes from the opening “A”-section, but this time, they’re all in the same key – our initial Home Tonic. This is the foundation of the major FORM that was introduced in the Classical Era (c.1750-c.1800) but became one of the principal forms of the Romantic Era which followed (c.1800-c.1900). RECAPITULATION which is the restatement of the thematic material from the Exposition, the harmonic tension leading back to the initial Home Key Tonic, resolving the tension of the Development. Here is a complete piano sonata by Franz Josef Haydn written in 1783. The first movement is in Sonata Form from the beginning to 5:53. With the first theme (in A-flat, the Home Tonic), the second theme (not that different) comes in in E-flat (the dominant, technically) at 0:53 or so (my computer is giving me fits, stopping and starting and needing constant rebooting today so I'm hoping these are accurate timings.... talk about increased tension...). The Development Section begins at 2:00 and becomes increasingly unstable until we return to the Home Tonic of A-flat around 4:00. Now, there are (of course) several variations on this idea: composers can begin a Sonata-form movement with a SLOW INTRODUCTION. Haydn did this a lot (Mozart, less often; Beethoven, not so much) and it was mostly to… well, let the audience know it was getting ready to start (even though the music was already playing). Audiences in the 1780s might be less formal than they are now, but it was a way of letting the audience know it was time to get ready to listen – actively. Here is the Sonata Form movement that opens Beethoven's 1st Symphony (completed in 1800). He uses a slow introduction that plays on one's expectations: the whole set-up actually does the opposite of what a listener in 1800 would've expected - rather than establish the tonic key at the start, he pulls you away from it and you never really feel where it's going to be until the Exposition officially begins. Technically, he reaches an actual C Major tonic chord at 0:45 into the clip, but it's not very forcefully set up, so... are you sure? No, not until the actual exposition begins where the tempo picks up and is now marked allegro. The first movement is only the first 8:20 of the clip: the whole symphony is about 28 minutes long in this performance. Note the additions to Haydn's use of the form in the piano sonata (above): in addition to the introduction, there's also a "coda" which starts off seeming like it's going to be another development section but instead it quickly becomes just a reinforcement of the tonic key at the end ("and those sound like final chord... yes, I believe we've reached... the end!") And then there are three more movements for the whole symphony. By the way, the identification of "closing theme group" refers to a musical idea (or ideas) that may not be complete melodies or themes - but have the function of giving the second theme and the exposition a sense of "closing," firming up the key we've ended up in. Later, as symphonies became longer - and not much later: Beethoven's 3rd Symphony a few years later has a first movement that's about 18 minutes long by itself, compared to 8 minutes, here - composers would expand the material around these first and second themes (maybe even add a third theme) and start a "development-like" process as they expand each theme; the closing theme group might also be expanded with additional developmental ideas. And the development section might become much more involved. To reinforce this, composers directed performers to REPEAT the exposition (in the early classical era symphony, the whole development/recapitulation might be repeated as well). They did this so the listener had a chance to hear how the drama is being set up – what the themes are and what the keys are. Why do you think they did this? Because in those days, the only way you’d hear a symphony would be by going to a concert. You didn’t have recordings you could buy and listen to any time you wanted. You didn’t have YouTube to download a performance to watch. You wouldn’t have had a radio station that might play classical music where you might hear it perhaps quite often. It was their way of getting to know the “characters” in this drama. Today, with the question of familiarity less of an issue, performers often skip the repeat. So there’s one of the basic FORMS of classical music – the Sonata Form. It can be found in a Sonata which is an instrumental work in three or four movements usually for a piano or another instrument along with a piano. It’s also the standard first movement form for a Symphony which is essentially a “sonata for orchestra,” also most likely in three or four movements. 3rd Movement: usually a dance like a Minuet, usually a stately aristocratic kind of dance which Beethoven later replaced with a more down-to-earth dance-like movement called a Scherzo ("scare'-tzoh," literally in Italian, a “joke”) since after the French Revolution and audiences were now more likely middle-class folks, courtly dances like the minuet were kind of pointless. 4th Movement: was a finale which could be a sonata form or variations or a dance but was often like a happy-ending to the whole piece, often a lively or very fast tempo. Mozart wrote several symphonies with only three movements, ending with a minuet. Sometimes he skipped the minuet and wrote a fast finale (that wouldn’t be mistaken for a minuet). In most cases, the first movement was the most significant part of a sonata or symphony. The other movements were for contrast and generally less taxing to listen to. Whenever I start off talking about how music is “put together,” whatever level of student I’m dealing with, I usually begin by making some obvious analogies. sentences which convey ideas or thoughts or observations or whatever it is we’re talking about. short story, a novel or some kind of book whether it’s fiction or non-fiction. Once we start getting into larger groupings of these letters, we have more options as to what they can become or how they become something. For instance, the idea of putting words into sentences requires some kind of logical way of conveying sense, and so we have singular and plural forms of nouns, tenses of verbs, agreement between nouns and adjectives; we have pronouns and adverbs and adjectives and prepositions. And how they’re used we call grammar. a minuet or a sonata or a symphony or maybe a song, or an opera. phrases and larger units until we have sections and movements and eventually a complete composition, whether it’s a song, sonata or symphony. There are of course many other things these units can form: like leggos, these blocks of melodies and chord progressions are the building blocks any composer would use for any piece of music, no matter what it’s called, no matter how long or short it is, no matter when it’s written but speaking primarily in terms of standard Western Classical Music between, say, 1600 and the present. harmony which is the equivalent in music of grammar in language. There can also be something that might be the equivalent of a semi-colon which continues the sentence with another phrase in order to give you more information or possibilities of understanding, and this might be a “deceptive cadence,” one that doesn’t go where you expect it (it deceives you by going someplace unexpected). In the simpler music of the late-18th Century, for instance, these cadences can be fairly obvious. This is a fingerprint of the “classical” or “left-brained” style. But in more complex music – for instance the first half of the 18th century or the second half of the 19th Century which we might describe as more “right-brained” – these phrases can run together and sound like the musical equivalent of a run on sentence which seems to never stop, where the cadences may blend together in such ways you have these long strings of phrases, perhaps taking you into different directions – and maybe digressions like, for instance, pointing out somebody’s expression or how the sun glinted off the new-fallen snow – before taking you back to the original intent of the thought and getting it bloody well finished. End. Now, expectation is something very important in music: a composer sets up certain expectations and if those expectations are satisfactorily met, the piece (or example) could be satisfying – or, if it’s too predictable, it might be unsatisfying or not as satisfying. So, composers like to throw in bits of things that might not be expected – a note in the melody that might raise an eyebrow, a chord that might make you (even minutely) sit back a moment, a resolution of a chord that… well, just wasn’t what you expected. This tension could be a kind of dissonance if only because it’s unexpected and requires it to be resolved. When it resolves, it resolves to something expected but maybe overdue… and we sit back with some kind of “sigh of relief.” We have arrived at the expected and this would be a consonance. You can read more about consonance and dissonance at this earlier post. I often describe something that is entirely consonant as the musical equivalent of plain oatmeal, perhaps not very satisfying in the long run. While we often think of dissonance as something ugly, it can be a carefully placed chord that spikes your interest – and, given our bowl of bland oatmeal, might be the addition of maple flavor or raisins or a dash of cinnamon which can be very pleasant. Of course, you could also add, say, cayenne pepper a dash of Mongolian Throat-Burning Sauce and the response might be not so pleasant (though there's probably somebody out there who’d like it). Dissonance is like adding spice to food: it enhances everything around it and makes it more interesting. The degree of dissonance and how it’s handled makes the difference: a badly plunked chord where it doesn’t belong or doesn’t do what it’s supposed to do can ruin it, expectations or not. What is your emotional response to the cliff-hanger ending of a chapter or a story: will the wedding be postponed? Will our hero, knocked unconscious in that bomb-blast, revive in time to rescue his abducted partner? 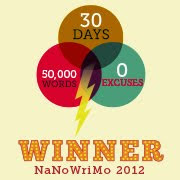 This is what makes a novel a "page-turner:" to find out what's going to happen next, you keep reading. I hate May in television season when all my favorite shows end in cliff-hangers: I have to deal with this tension all summer long until we find out “how it works out” in the fall! Yikes! Talk about waiting for the tension to resolve! But they make sure you're going to tune in to that first show of the new season. Harmony, which doesn’t necessarily imply something that is merely “harmonious” (as in peaceful). Harmony, in this sense, is the study of the grammar of music – what makes chords work and how they work together, moving from one chord to the next. This hierarchy of chords is similar to the hierarchy of pitches in a given scale (see below). There is a perceived logic to the way one pitch moves to the next and the way one chord moves to the next. Music students take courses in theory which, unlike science where a “theory” is something that’s not yet proven, is regarded in music as a collection of “rules.” And we’re not supposed to break these rules until we’ve figured out how to use them (some teachers say “never”) – and then we do so with the caution that a badly broken rule is not the same as a “well-broken” rule. In other words, there’s a logic to the rules of Harmony but if we apply a similar (if different) kind of logic to breaking them, then we can create a different sound out of our chords with new expectations and perhaps new ways of applying the same old concepts but with a new sound. There are not the same rules any more, just like they weren’t using the same rules they'd used in 1775 to write a symphony in 1875. If everybody kept writing music like they used to, we’d still be a bunch of monks singing Gregorian Chants. One important thing to realize is that “theory” (or the study of these musical rules – “harmony” is only a part of this) comes after the fact. It analyzes what’s been done and codifies the rules into some kind of awareness of what’s accepted and not accepted. Keeping that in mind, if we’re talking about the rules that Haydn and Beethoven may have lived by, it’s unfair to criticize composers like Bach in the early-18th Century or Josquin des Pres in the 15th who came before them for not following the rules. They had their own rules – but very often, these rules (at least early on) were not written down: they were understood. You did it this way because that’s how it worked. Theorists, long after Bach died, examined the fugues Bach wrote and came up with different ways of codifying the rules of fugue-writing. This meant composers in the 19th and 20th Centuries could read these books and no longer have to “reinvent the wheel.” But it also turned fugue-writing into a kind of musical puzzle which often left the final product sounding a bit too academic. When we take our single isolated note and play it on a piano, we can create a scale by playing the successive notes on the keyboard, moving upward till we’ve reached that same note an octave higher than our original pitch. This is called a scale and the pitches within the scale follow certain patterns of whole steps (here, shown by slurs underneath the notes) and half steps (the thingee shown above the notes) that can become major or minor scales – there are others and variants of these, too, but these are the most important ones for music between 1700 and the present day. In the illustration, it's a C Major scale. C is the primary pitch generating the scale, so it's called, for some reason, the tonic. The notes in these scales have different roles, for lack of a better idea: the main pitch – in this case, the C – is called the tonic so when a piece is called “Thing in C Major,” that means the “key” of the piece is C Major built on the tonic, C.
A key is basically the set of pitches in that given scale. The key could be G Major or F Minor and the scale would be the appropriate pattern for that scale (major or minor) starting with that tonic (G or F). It can also imply other pitches in relation to it, pitches that are not in this particular scale but may be more or less related to it. Since the second most important pitch in a C Major Scale is G – it just is – it is, unfortunately, called the dominant. Doesn’t that imply it’s actually the most important pitch? Uhm… yeah, this is where that whole logic thing kinda breaks down? But that’s how the term is used in music. The F in that C Major scale, one step under the dominant, G, is called the “subdominant” (well, that makes sense). Going back to the scale (above), the note D, one step above the tonic, C, is called the “supertonic” (though it does not have any particularly super powers: it comes from the Latin meaning “above”). 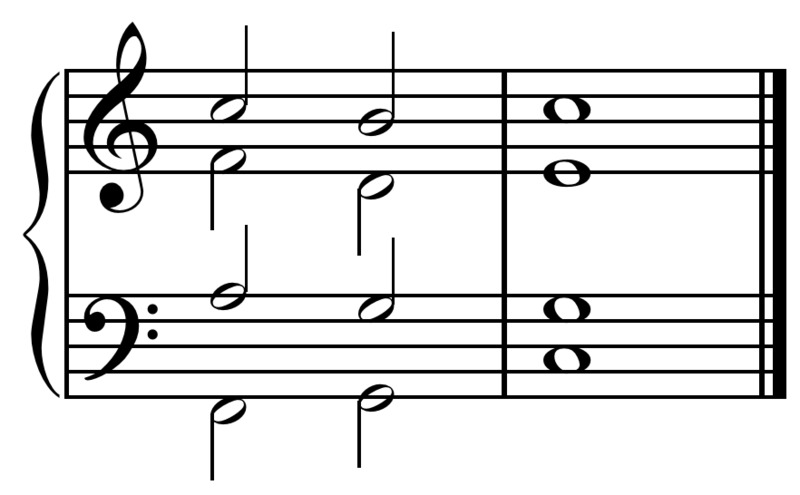 The third note of the scale – in this case, the E – is called the “mediant” as it’s in the middle, between the tonic and the dominant – and the interval of a third between them, at that. Consequently, going in the opposite direction, the note that’s a third below the tonic, not quite halfway to the dominant, is the pitch A which is called the “submediant.” The note directly beneath the final or upper tonic, the B, is given the unglamorous name “Leading Tone” which is not like a “leading lady” in the cast, but a tone that leads to the tonic… If you sang the scale only to the B, it would feel unresolved – and you’d have to resolve the anticipation by playing the next note to end the scale – C.
Now, the idea of a scale with all these “scale degrees” creates the “universal set of available pitches” called a key. There are then off-shoots of these sets related to the original scale degrees which could create new keys because, like consonance/dissonance and the idea of variety, things get pretty oatmeally if we stay only in the original key. So we can move or “migrate” to a different key – this is called modulation and there are any number of ways we can move from one key to another and to which key we can modulate to. In the 17th and 18th Centuries, composers stuck to the basically closer keys – meaning those built on the scale degrees of the original tonic key (except for the 'leading tone'). And the two most logical were to the dominant for G Major and to the submediant if you wanted to go to a minor key, in this case A Minor. Now, I didn’t get into key signatures, here, but C Major and A Minor have the same key signature (no sharps or flats) – therefore, they’re closely related. Never mind that, for now, that’s just one of these rules. Beethoven and Schubert (early-19th Century) and other composers like Brahms (late-19th Century) might just start moving to less closely related keys, in fact to keys whose tonic pitches aren’t even a part of that initial tonic scale. These, when first heard, would create that kind of raised eyebrow – what’s he doing, here? It created a sense of the unexpected – some tension – and the expectation was finally resolved when you’d come back to that original key. This resolution of the dissonance – the statement of the initial key; the modulation away from it; the return to the initial key – became a hallmark of classical music between around 1700 to at least 1900. Today, we call this tonality. That initial tonic key now suggests a whole operation of rules that guide us in the control of expectations and how to treat the unexpected – the digression from the initial key to its inevitable return to it. This began falling apart as music became more complex – again, the simplicity/complexity thing – when composers started going further afield for their digressions and the concept of the return was lessened because… well, sometimes you couldn’t recognize the initial tonic any more. So basically, the whole idea of tonality is music that is centered in a given key (the tonic scale is basically the universal set of available pitches; later, this would become a basic set which could branch off into other more or less related sets) and which is conscious of the importance of that tonic, the dramatic impact of getting away from that tonic (for variety, if nothing else) and the significance of eventually returning to that tonic. You could do that in a phrase: the first half of the phrase (to a half cadence) might modulate briefly to the dominant, then by the time you reach the full cadence at the end of the next phrase, you've firmly returned to the initial tonic. And you can do that within larger units as well. statement + digression + restatement (or return) = Tonality. Interestingly, though Bach and Mozart and Beethoven were all consciously working within the rules of what we call Tonality, the term itself wasn’t invented until the 19th Century by one or another French theorist (not composers, but people who analyzed composers’ music). Some sources say it was first used in 1810, others in 1821. Regardless, that’s a lot later than Bach writing in 1720! So you see how “after-the-fact” theory really is, compared to the music it analyzes? Now, this isn’t THE END, unfortunately… because this concept of tonality is the hallmark behind the idea of FORM in music, during this period of time. The structure of a piece of music isn’t actually determined by the melody which you may think is front and center in your attention, but it’s determined by the use of tonality which is constantly operating in the background whether you’re aware of it or not. Sometimes I think it’s because people “in-the-know” want to maintain their elitist standing and create these terms to confuse the outsiders. Instead of a secret handshake, it’s like some kind of secret wink. Just as computer geeks have their own language and people in the insurance or banking business insist on bamboozling me with terms about interest rates and investments, musicians have their own way of getting back at the world. When I worked in the classical-music-on-the-radio field, there were those who felt we needed to explain everything in laymen’s terms, translating the foreign words so they made sense to an audience only half listening. It was considered “off-putting” to give a piece of music its original French title or describe a tempo or playing technique when a translation or short definition would be better. Even Germans and Russians will use these Italian terms though the French, being French, will use their own language. Otherwise, the Italian basics are fairly universal. We might talk about American composer Samuel Barber’s Adagio for Strings but would it sound as good as if we called it the Slow for Strings? The piano, for instance, was originally a pianoforte, advanced technology over the older keyboard instrument called the harpsichord because, unlike that instrument from the Baroque era, the piano could play both soft and loud at the same time, whereas the harpsichord was either one or the other until you switched some levers to engage more strings. You couldn’t play a crescendo – that is, going from one dynamic level to a louder one – on a harpsichord, but you could on a piano. But since piano means “soft” and forte means “loud,” should we say I’m playing the Softloud? So you’d think a “piano quartet” would be four pianos, right? Sorry – that’s an ensemble that consists of a piano and three stringed instruments, usually a violin, a viola and a cello. Just as a “piano trio” is a piano, a violin and a cello. And just because a piano has strings in it, it's played by hitting keys which activate hammers which then strike those strings so it's classed as a percussion instrument - like a drum or a xylophone because it's something you hit. Or is played by means of hitting. Originally, in Johann Sebastian Bach’s day (the early-1700s), an “orchestra” could be just a handful of players – maybe six or seven or a dozen. Mozart, in the 1780s, probably had 20-some or more, but not much more. A large orchestra in Beethoven’s day (the next generation) might have 45. By the end of the 19th Century, orchestras could have 100 players. Today, unless you’re playing a piece that required more, a typical orchestra might have about 75 players. So the term is a little vague and dependent on lots of other… things. Another thing that can be confusing are these “eras” that we divide classical music into. First of all, these are approximations – the Classical Era did not begin on January 1st, 1750. The Romantic Era did not end on Dec. 31st, 1899. And there’s a problem already – classical music and Classical music. The generic ‘lower-case’ classical refers to the “art music” side of music as opposed to what we consider the “popular music” side of it. Which becomes a problem because “art music” sounds so high-falutin’ and must mean, conversely, that “classical music is unpopular.” Granted, it has a smaller audience – call it elitist if you want, or a niche, in modern marketing terms – but it has its devoted followers. Now of course there’s also the added conundrum that, in the 1800s, popular music was being written by composers who wrote what we consider “art music” today. We think of Johann Strauss as “classical” but in his day, he was the equivalent of (pick a popular band of the day). 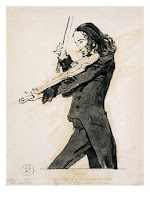 If you consider the impact each had on their respective audiences as well as on their fellow musicians, Nicolo Paganini, a wizard of the violin in the early-1800s, could be described as the Michael Jackson of his day. Not only did both do amazing new things technically (Jackson as a dancer, Paganini as a violinist), they both knew how to put on a good show, toured all over the place, brought in huge sums of money, and had unfortunate ends. Remember Michael Jackson’s thing about wearing one glove? Franz Liszt, as a handsome young man with long hair, played the piano with his profile to the audience (before that, the piano was placed so the pianist's back was to the audience) and would come out to the piano, sit down and peel his gloves off his hands before playing: it is said women used to swoon when he did this. So let’s think of “art music” as music that requires you to “listen actively” to it – emotionally and intellectually engaged in it (right brain and left brain – check) where as “popular music” only requires that you enjoy it, meaning “passive listening” is sufficient to your enjoyment. You can listen to “art music” passively and still enjoy it, but there’s more to it than just that. If a pop song today gets you moving, that’s really all it needs to do (not that you can’t use your left-brain to analyze it but that’s not its intent). If the Baroque began as a simplifying reaction to the complexity of the Renaissance around 1600, Baroque music had become more complicated around 1700 so that by the time of Bach’s death in 1750 – the arbitrary end-point for the age – it was just as complex in its own way as the Renaissance had become before 1600. Then the Classical Era began as a simplifying reaction to the complexity of the Baroque, but it had already started before the death of Bach in 1750. In fact, some of the leading exponents of this “new simplicity” were sons of Bach himself – especially #2 Son, Carl Philip Emmanuel Bach and his last son, Johann Christian Bach (there were, in all 20 children and every son became a composer – even the one who today would be called a ‘special needs child’ – and it’s quite possible several of the daughters were, too). The Bach Boys would refer to their dad as “The Old Pigtail” (behind his back). 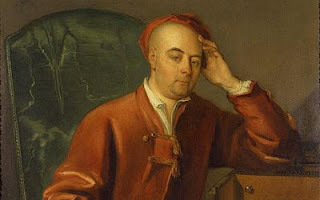 Another great Baroque composer – George Frederic Handel (of “Hallelujah Chorus” fame) – lived past 1750 and was still composing in a Baroque style. Wolfgang Amadeus Mozart, one of the leading “Classical” composers, was born in 1756 but Handel died three years later, still composing Baroque-style music (I guess he didn’t get the memo). Mozart died in 1791, Haydn in 1809 – but by 1800, Beethoven was well on his way to becoming the Next Big Name with his first symphony and his first set of string quartets, all published or first heard in 1800. 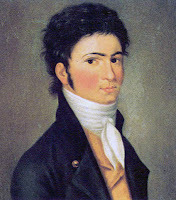 While to us, these still sound very much like the music of his teacher Haydn and his favorite composer Mozart, to listeners at the time, they were modern and innovative and, in some cases, “way out.” By 1803, when Beethoven wrote his 3rd Symphony, the “Eroica,” he was on to something quite new. And with that, Beethoven introduced what we consider “Romantic” Music for the 19th Century. 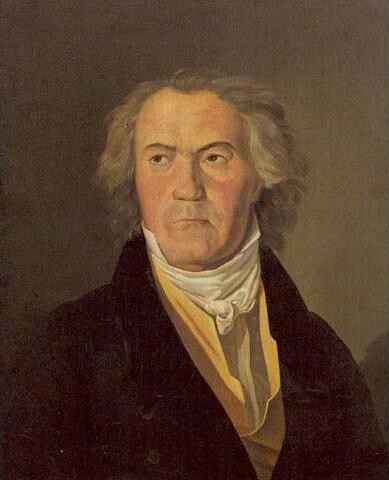 The problem is, until the 1820s, most of the other composers from this period were still writing in the Classical Style – Beethoven was kind of a one-man phenomenon, so it’s not entirely accurate to say he was the leader of the Romantic Era – he was it! At least for a while. secular: music for everyday use, usually the entertainment music or – gosh – what we’d consider “popular” music today and which didn’t need to be written down since it was played by itinerant or “free-lance” musicians who, we might say, “will play hit tunes for food,” and who passed it on to future generations the same way folk songs and the ancient epics of Homer survived – through the “oral tradition” (as opposed to the “printed edition”). 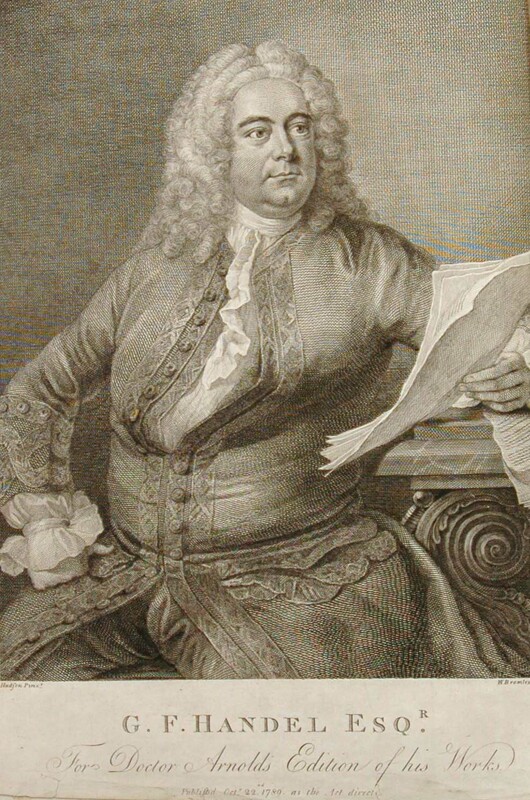 Handel, meanwhile, was a “court musician” who was more or less employed by the King of England at various times in his career but also depended on the patronage of aristocrats who paid him to compose for them (“will write for money”). He also made (and lost) fortunes in the opera business, writing numerous operas for the London audiences, not all of which were successful. The only reason he’d write an oratorio – a work for chorus and vocal soloists with orchestra on a Biblical or sacred story as opposed to a typical opera with its story about love, intrigue and murder often based on Greek mythology or ancient history – was because the opera houses were closed during Lent and so for those forty days when he and his singers still needed to make money, he wrote these oratorios which were described as “sacred operas without staging or costumes” because, being based on religious subjects, that was okay. However, God-fearing (or at least Church-fearing) people stayed away because they saw the combination of sacred stories and profane opera as something sacrilegious. 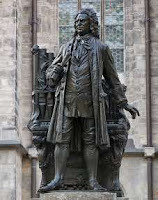 During the times Bach had been employed by aristocrats (before he got the church gig in Leipzig), he would write instrumental music to perform for his patrons and their guests, back in the day before TV. There would be concertos and solo instrumental works and suites. One of his responsibilities in Leipzig, though, involved a secular hat and he would present concertos and suites for the public who – lacking a concert hall – would gather at Zimmermann’s Coffee Shop (apparently bigger than your average Starbucks today) where they would have public concerts. Handel also composed concertos and sonatas and suites for secular audiences, most famously his “Water Music” which consisted of several suites of dances meant to be played by musicians floating along behind the King’s barge while out on the River Thames. If you saw any of the celebrations of the Queen’s Jubilee before last summer’s Olympics, you heard them playing some of Handel’s “Water Music” on their Thames outing. A suite, by the way, was a collection of “dance movements” of different tempos and contrasting moods – at times lyrical or lively but originating in music to dance to – that were now meant to be listened to while you were sitting down (especially if you were on a barge in the river). They were now “stylized” dances – dances no longer meant to be danced to. This didn’t change much in the latter part of the 18th Century. Haydn spent most of his life employed by Prince Esterhazy who owned a palace in a rural area not far from Vienna but, basically, in the middle of nowhere. For his own entertainment, he maintained an orchestra and an opera theater – also a marionette theater – and employed the musicians and singers to maintain a steady schedule of performances. He often had guests from Vienna who would spend weeks during the summer at his palace, and a new symphony or opera by his composer-in-residence Franz Josef Haydn was very much looked forward to. In this picture (see right), Haydn (with reddish hair) is playing the violin while rehearsing a string quartet with some friends, including Mozart (in the light blue coat) playing viola. Mozart didn’t fare so well. He began being employed by the narrow-minded Archbishop of Salzburg who also maintained an orchestra of which one violinist was Mozart’s father, Leopold. But he quickly tired of the situation there and went to Vienna hoping to get a job at the Imperial Court. Now, when he was a boy, Mozart’s father Leopold took him and his sister "Nannerl" around Europe like a traveling music act, showing off his children and earning a good bit of money but mostly in hopes he could find a new and better (or at least better-paying) job for the family in some other aristocratic court – preferably the Empress in Vienna. But that didn’t materialize. So eventually Mozart, then 25, left Salzburg for Vienna where he ended up writing operas, some for the Imperial Court, others for public theaters, but also piano concertos for his own concerts (or those by friends or students of his), lots of chamber music, some of which was sold to publishers for the “amateur market” because amateur musicians who had no TV or stereo sound systems made their own music for each other’s enjoyment and, if something was popular, they wanted to play it themselves. But Mozart had a higher sense of life-style than he had an income to support it and was always dealing with financial issues no matter how much (or little) money he brought in from all this. It wasn’t what killed him, but the fact that he died at the age of 35 is often blamed on the stress of trying to compete in a “free-lance market” that didn’t really exist yet (more on that, later). In the Medieval and Renaissance periods, the primary employer of “art” musicians was The Church (either Catholic or, after the Reformation, Protestant). In the Baroque and Classical periods, while the Church was still a frequent employer of musicians, more of them were now employed by the aristocratic courts who maintained private orchestras, opera theaters and resident composers who were kept on the payroll like one hired cooks, gardeners and cleaning staff. Haydn and his musicians, for instance, dined with the servants. 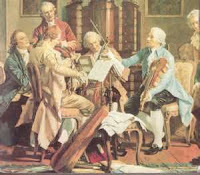 Only in major cities like Vienna or London was it possible to make a living as a free-lance musician and this still depended largely on patron support whether from aristocrats or the “new rich” of the upper middle class, those successful merchants and entrepreneurs who could afford to imitate the aristocratic life-style but who lacked the heritage of being born to it. Things would change in the 19th Century.